Spray Versus Drip Irrigation: Which is Best for You? Spray irrigation emits water in an overlapping pattern, while drip irrigation delivers water directly to the roots of plants. 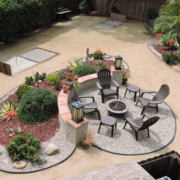 How do you decide which meets the needs of your landscaping? Spray irrigation can be an efficient way to irrigate large landscapes with groundcover or uniform plant materials like lawns or meadows. 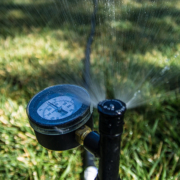 Spray systems apply water in gallons per minute (GPM), so if you know the application rate of each spray head, the distance between the heads, and the pressure of your system, it is relatively easy to figure out how much water is applied every time you run your irrigation. Low volume spray heads apply water at about one-third the rate of conventional spray heads. Newer spray irrigation heads have improved spray with heavier droplets more resistant to wind. Landscaping with grade changes using spray heads should have check valves installed to prevent water flowing out of the lower point heads. Challenges of spray irrigation include narrow areas surrounded by hardscape, or irregular patterns. Irregular patterns are particularly challenging, because spray irrigation requires head-to-head coverage to be efficient. Odd-shaped areas may be under or over watered. High-volume spray heads that emit water at a much higher rate than soil can absorb should be replaced. Drip systems apply water in gallons per hour (GPH), so they often need to run for longer periods of time than spray systems. But the actual run time must always account for precipitation rate and runoff. Installing subsurface systems (under at least two inches of mulch) is the most efficient way to irrigate nearly every type of garden area. Since the tubing is flexible, it can accommodate a variety of irregular shaped areas or rectangular areas when laid in a grid pattern, and in rings you can easily expand as trees or shrubs grow. Challenges of drip irrigation include application of water too quickly for your soil to absorb. This needs to be considered when dripline grids are installed. Drip irrigation operates the most efficiently at low pressure (between 15 and 30 PSI). To achieve optimal performance, pressure regulation either at the valve or at the point of connection of the dripline to the buried lateral lines must be used. It is also essential to install some type of filtering system to keep the emitters from getting clogged. This article was inspired by the 71-page Sustainable Landscapes Program guidebook available at SustainableLandscapesSD.org. The Water Authority and its partners also offer other great resources for landscaping upgrades, including free WaterSmart classes at WaterSmartSD.org. https://www.waternewsnetwork.com/wp-content/uploads/2019/04/Spray-irrigation_845x450.jpg 450 845 Kristiene Gong https://www.waternewsnetwork.com/wp-content/uploads/2018/02/water-news-network.png Kristiene Gong2019-04-25 09:27:322019-04-25 09:27:32Spray Versus Drip Irrigation: Which is Best for You? 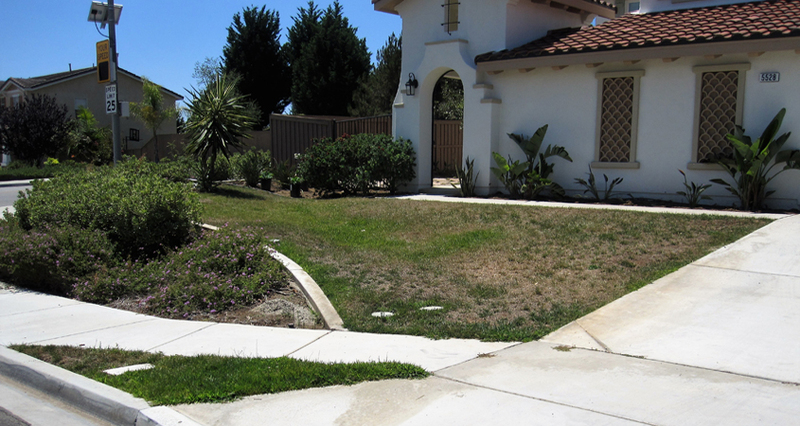 Removing grass can generate rebates of at least $2 per square foot for San Diego residents under new enhanced incentives that started this month. 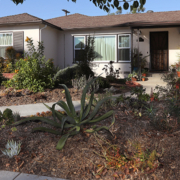 As of April 1, the Metropolitan Water District is offering $2 per square foot for every square foot of grass removed from yards and replaced with sustainable landscaping. Rebates may vary by water agency, but an online incentive calculator identifies the current rebate amounts. To increase participation, MWD also updated program rules. The rules are listed at the application site. All San Diego County residents are eligible for the $2 rebate. But, that’s not all. The San Diego County Water Authority is offering an additional $1.75 per square foot to customers in its service area, with grant funds provided by the California Department of Water Resources. And, the City of San Diego offers city residents $1.25 per square foot. That means some homeowners can earn as much as a $5 rebate for each square foot of turf removed. 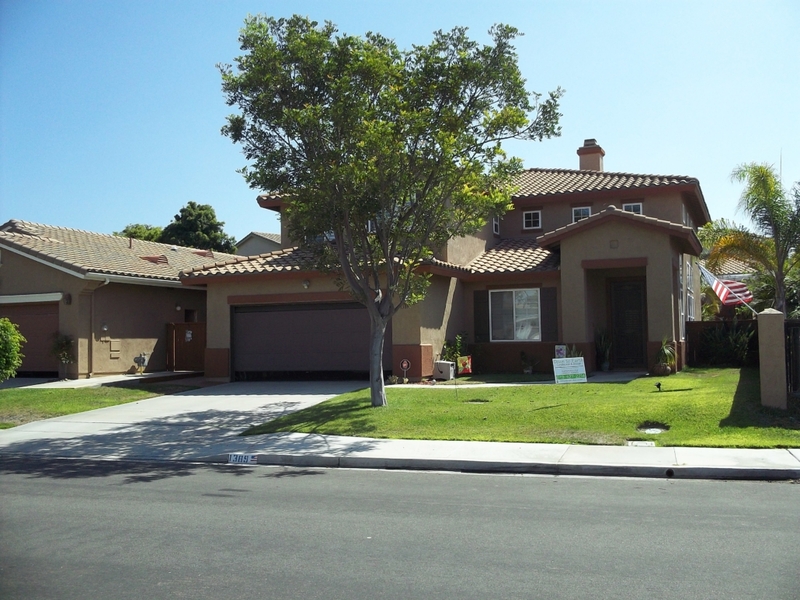 Turf rebate programs have proven popular in Southern California, and funds could go quickly. While rebates can provide a big boost to landscaping makeover projects, it’s also important to start planning before you start planting. That’s where the Water Authority’s WaterSmart Landscape Makeover Program comes in. Free resources are available to upgrade turf yards. For instance, the Water Authority offers free landscape makeover classes that help homeowners make smart choices to reduce outdoor water use by designing beautiful and climate-appropriate landscapes for our region. San Diego’s Sustainable Landscapes Program ranked among the most effective landscape transformation programs in the nation in a study released today by the Chicago-based Alliance for Water Efficiency. The “Landscape Transformation Study: 2018 Analytics Report” compiled data from 14 similar landscape conservation programs in the U.S. and Canada. The Alliance for Water Efficiency concluded that San Diego program participants reduced water use by an average of 114.8 gallons per day, or 34.8 percent. “The Water Authority has established a high benchmark for landscape transformation programs that include rigorous program requirements that result in the achievement of multiple benefits,” according to the report. By saving about 42,000 gallons of water per project each year, Sustainable Landscapes Program participants who transformed their landscapes save enough water to supply the average four-person household in San Diego County for more than three months. The national report was accompanied by a survey of more than 3,000 homeowners across North America, which emphasized that residents are ready to embrace new landscape ideals. Efforts to develop the San Diego landscape program began in 2010 with a successful Proposition 84 grant application. Known as the SLP, the program was developed to help homeowners upgrade their yards with climate-appropriate plants, high-efficiency irrigation equipment, rainwater capture and detention features, and soil amendments. The sum of these measures results in multiple environmental benefits, including water use efficiency. The SLP was a partnership by the San Diego County Water Authority, the City of San Diego, the County of San Diego, the Surfrider Foundation, the California American Water Co. and the Association of Compost Producers. Although the grant-funded SLP pilot has been completed, the Water Authority continues to offer and promote SLP-related programs and resources, such as classes and personalized advice from landscape design professionals, a comprehensive guidebook, financial incentives, a demonstration garden and SustainableLandscapesSD.org. Water Authority Water Conservation Program Manager Carlos Michelon said the SLP sets high standards for efficient water use and other sustainable practices above and beyond standard turf removal programs. Participants achieve multiple benefits, including water efficiency, drought tolerance, stormwater management, water quality enhancement and aesthetically appealing designs. Recognizing the variety of landscapes and microclimates in San Diego County, SLP resources helped to inform and empower participants each step of the way. 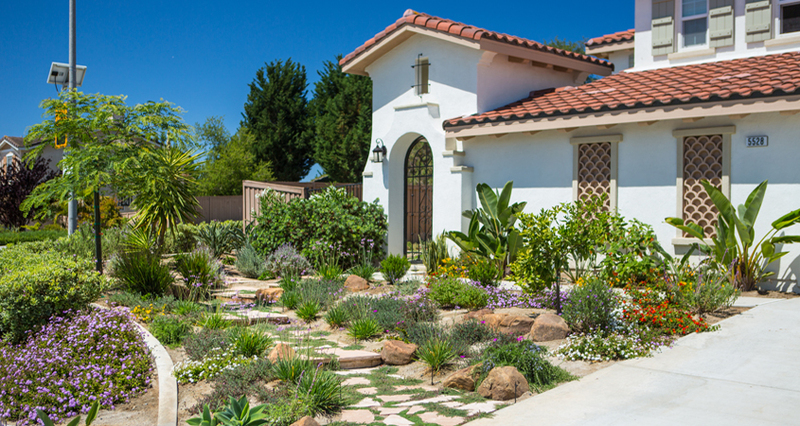 During a pilot period, the Water Authority and its partners provided more than 325 Sustainable Landscape Incentives to San Diego County homeowners to help transform their landscapes into beautiful, climate-appropriate mini-watersheds. While this locally-administered program is no longer accepting applications, the Landscape Transformation Program administered by the Metropolitan Water District of Southern California is open to qualifying water customers in the Water Authority’s service area. Effective April 1, 2019, residential rebates will start at $2 per square foot, for up to $5,000 square feet. Added funding by local water agencies (where available) means total incentives may be as high as $3.25 per square foot. An online incentive calculator at SoCalWaterSmart.com identifies incentives for specific proposed projects. The SLP was made possible by an Integrated Regional Water Management program grant funded by the Safe Drinking Water, Water Quality and Supply, Flood Control, River and Coastal Protection Bond Act of 2006, administered by the California Department of Water Resources. 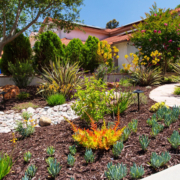 Encinitas, Calif.—Olivenhain Municipal Water District and San Dieguito Water District have partnered to offer a free WaterSmart Landscape Design Workshop. The event will be held Tuesday, February 19, from 5:30 p.m. to 8:30 p.m. at the Encinitas Community Center, located at 1140 Oakcrest Park Drive in Encinitas. 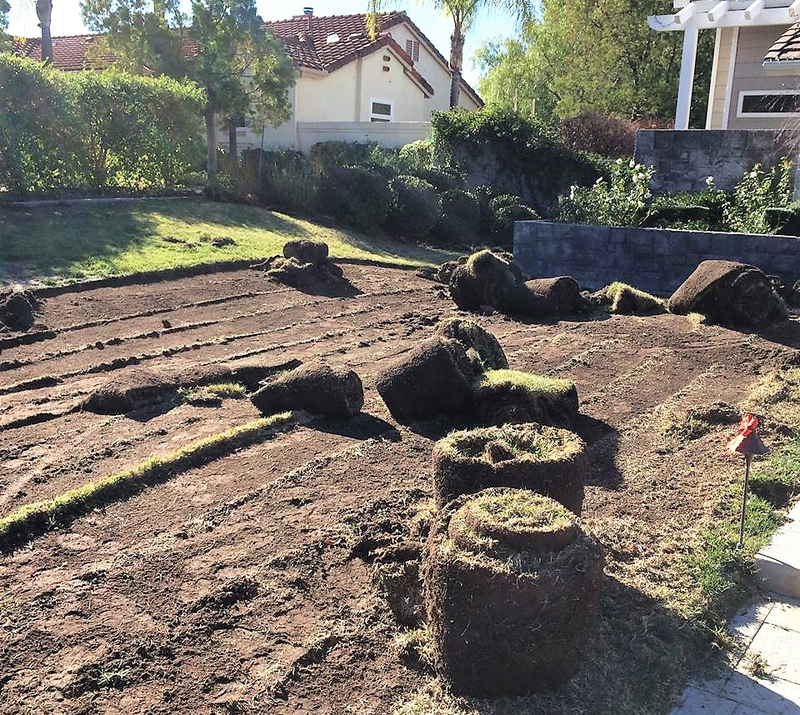 San Diego County residents have targeted more than 1 million square feet of turf grass for replacement with WaterSmart landscaping through free landscape makeover classes sponsored by the San Diego County Water Authority over the past five years. While not all the targeted turf has actually been removed, post-class surveys show that many participants end up taking out more turf than they initially planned after seeing the benefits of their work, said Joni German, who coordinates the Water Authority’s award-winning WaterSmart Landscape Makeover Series. “Because we give people the skills and the confidence to do this, they often go on to convert turf in another part of their yard,” she said. In the past five years, 947 people have completed the WaterSmart class series, which includes identifying turf areas for replacement with low-water use landscaping. Participants work one-on-one with local landscape architects to complete design and irrigation plans. The Water Authority then compares estimated total water use for each homeowner before attending the four-class series, and after implementing a sustainable landscaping plan. In total, participants have identified more than 1 million square feet for conversion. One acre-foot is approximately 326,000 gallons, roughly enough to serve 2.5 typical Southern California families of four for a year. The National Resources Defense Council said California homeowners are leading the transition away from lawns, which is expected to continue for more than a decade nationwide. And there is a long way to go: Lawns currently cover up to 50 million acres of land in the United States, consuming three trillion gallons of water each year, according to NRDC. German said WaterSmart landscape makeover courses help homeowners change their thinking, and embrace the sustainable landscaping approach. “Homeowners don’t know where to start,” said German. “They think they have to create a rocks and cactus landscape. 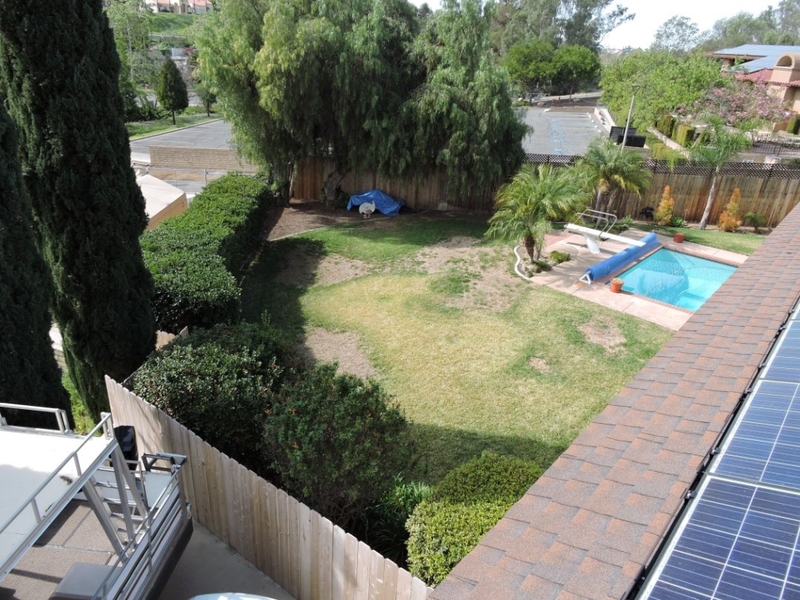 Our program reflects a WaterSmart landscape for the San Diego lifestyle. “In the course, we explain that we live in one of the most desirable climates on earth. People come and vacation here for our climate. We deserve beautiful, lush, colorful, thriving landscapes – and we can have them. They can be water-efficient, too,” said German. Each class series is limited to 25 participants. Experts visit each homeowner’s proposed project area prior to the first class. They take measurements, locate irrigation heads, and produce a CAD drawing for homeowners to use in the class. “With the help of local landscape professionals, homeowners create planting plans and irrigation plans specific to their project areas. They are either ready to implement the plans themselves, or work with a contractor to tell them what they want done,” said German. 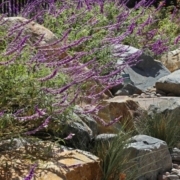 The Water Authority has scheduled a full calendar of WaterSmart Landscape Makeover Classes for 2019, with the first series starting in February in Fallbrook. Limited enrollment ensures every participant receives hands-on support. Homeowners who want to attend a course in 2019 should complete an online application and get on the waiting list. Apply at WaterSmartSD.org. The California Department of Water Resources funds the class series because it generates water savings. It also generates a lot of enthusiasm, according to participant reviews. “Could not believe the amount of information and guidance. Worth every minute and highly recommended!” said one participant. 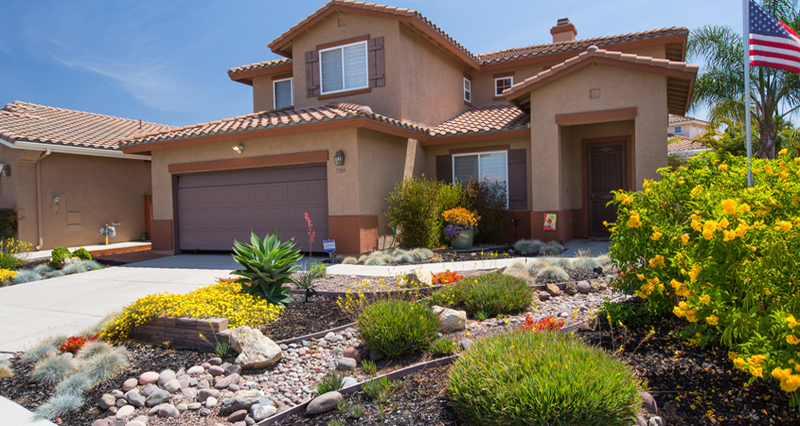 Vista, Calif. – The Vista Irrigation District board of directors recognized one of its customers for their entry in the district’s WaterSmart Landscape Contest. The contest recognizes outstanding water-wise residential landscapes based on the criteria of overall attractiveness, appropriate plant selection, design, appropriate maintenance, and efficient methods of irrigation. seating area surrounding a fire pit, the Williamses transformed unused space into a backyard with utility. Aeonium, Rosemary, Senecio and Firestick. 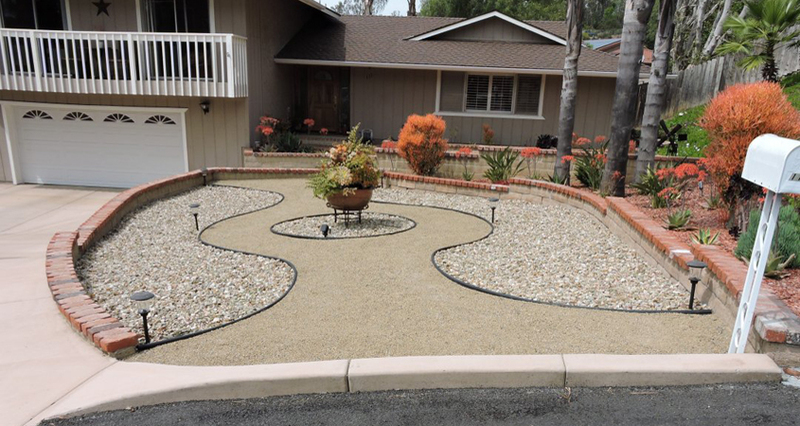 own outdoor water use by installing attractive and efficient water-wise landscaping. time,” said Brent Reyes, water conservation specialist for the district. California American Water, and the cities of Escondido, Oceanside and San Diego. more ways to save water. Oceanside, and unincorporated areas of San Diego County.